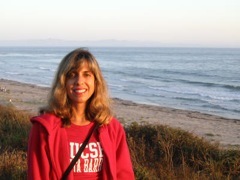 Dr. Carvalho is a Professor in the Department of Geography and Researcher at the Earth Research Institute, UCSB. She has a B.S., M.Sc. and Ph.D. degrees in Meteorology from the University of São Paulo, Brazil. Her research interests are in regional and large-scale climate variability and modeling, global climate change and scaling processes in geophysics. These topics include (but are not limited to) climate variation and change in monsoon regions, tropical-extratropical interactions, extreme precipitation and temperature, and regional modeling. Climate variability and change, regional and global climate modeling, mesoscale meteorology , scaling processes in geophysics, tropics-extratropics interactions.